Please join us for an exclusive presentation for MESA Creators by Dr. Eugene Fiorini, Director of the summer research program at Muhlenberg College in Pennsylvania. 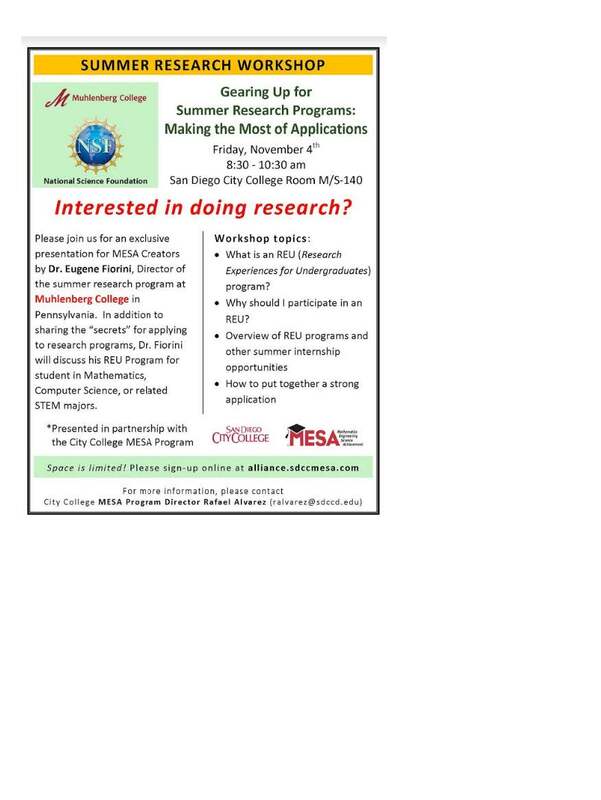 In addition to sharing the “secrets” for applying to research programs, Dr. Fiorini will discuss his REU Program for student in Mathematics, Computer Science, or related STEM majors. What is an REU (Research Experiences for Undergraduates) program? Students will be instructed to park in the parking garage of the M/S building, which is located on the corner of 16th and C Streets.